Northern Avenue in Boston is seen during rush hour. Boston developers build buildings for the 1970s. This is because city officials haven’t yet found the political appetite to permit buildings that recognize the way 21st-century cities function. City Hall had a chance to embrace the present last spring, when it fielded a proposal to construct a parking-free apartment building, but it punted the opportunity away. Now, it’s getting a do-over. It used to be that the only way to get suburbanites to move downtown was to sell them what they were used to. That’s why urban renewal-era housing towers in the West End and along the waterfront came paired with mammoth parking garages and a gated-community atmosphere. The cost of repopulating the downtown was the creation of suburban-style urban communities. But Boston has changed tremendously since then. The city is growing rapidly, and getting younger. The new residents elbowing their way into town are choosing urban living — crowded, noisy, and exciting. 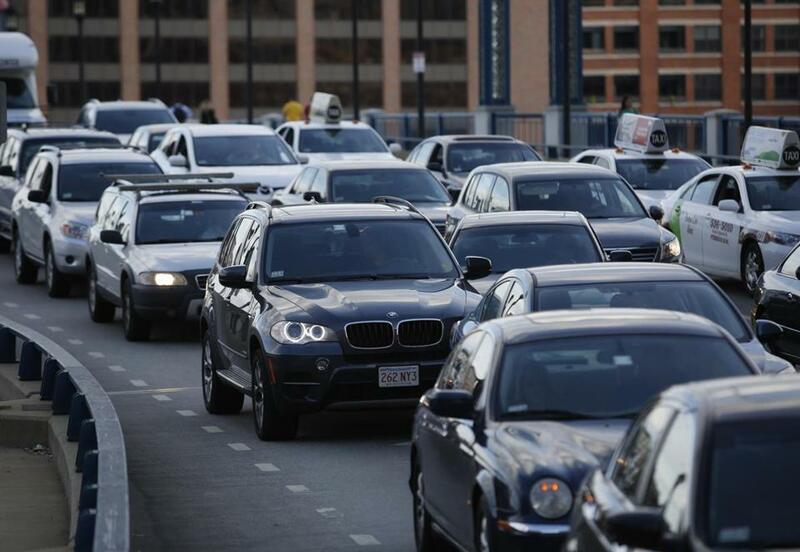 Boston can’t physically allow every resident and worker to drive around town like it’s Interstate 495. The roads couldn’t handle the traffic, and there aren’t enough parking spaces to go around. This is why the city has a hard cap on the number of public parking spaces allowed downtown, and why it expects many of the workers in newly built office towers to arrive by public transportation. When it comes to new residential developments, though, City Hall is still largely grounded in the 1970s. It requires housing developers to build minimum levels of parking, regardless of whether building residents actually have cars to park. In Manhattan, residents there can do without a car. But people in Boston, spread out and part of a much larger metropolitan area, cannot. Parking minimums aren’t policy, so much as they are a political toll that developers have to pay to win local approvals. And in Boston, nothing drives politically active neighborhood groups crazier than parking and traffic. They believe as an article of faith that new apartments and condominiums equal new cars, and demand that these new cars not compete for on-street parking with existing residents. So the cost of Boston development permits is paid in expensive, empty parking spaces. City officials have gradually been letting the quantity of parking extracted from developers slip, to a ratio of three spaces for every four new housing units, and sometimes less. This is a level of parking far below what suburban communities demand from housing developers. Still, even in Boston, city policy assumes that all new housing developments create significant new parking headaches. That assumption just doesn’t square with reality. Census data show that more than half of Boston residents currently take the T, bike, or walk to work. There are now 27,000 more car-free workers living in the city than there were a decade ago. This doesn’t mean that the Boston Redevelopment Authority should forcibly seize minivans from West Roxbury families. But it does mean that developers should be able to build car-free communities downtown and near transit. Building regulations should square with the way people actually live. The first attempt to break through this wall did not end well. This past spring, developer Sebastian Mariscal attempted to construct a 44-unit car-free apartment community in Allston, three blocks from a planned commuter rail station, and a 10-minute walk from the Green Line. He was routed by neighborhood opposition, who made him agree to build 35 spaces he wouldn’t use, and then he lost a fight for site control. The Mount Vernon Company, the developer that now controls the Allston site, is currently trying to get permits for an 87-unit, 66-parking space housing complex. Boston development officials quickly ducked the fight that rose against the words “car-free apartments.” They now have a second chance to get it right. The development firm of Related Beal LLC asked the city last week to permit the construction of 175 condominiums at Lovejoy Wharf, without any on-site parking. The developer argued that the project’s location — across from North Station, and on top of two subway lines — would attract buyers who don’t own cars. Those who do, the company said, will have to pay their own way in a neighborhood garage. The BRA should give the developer the chance to prove itself right. The city badly needs to move past its 1970s housing regulations. And if there’s any place in the city that can prove that car-free development works, it’s a wharf next to North Station.